This undated file photo shows Chief Warrant Officer Jacob Sims. The U.S. soldier killed in a helicopter crash Friday near Kabul, Afghanistan, was identified Sunday by the Defense Department, NBC News reported. Chief Warrant Officer Jacob Sims, 36, died in Logar province in what the Pentagon said was an accident not caused by enemy action. 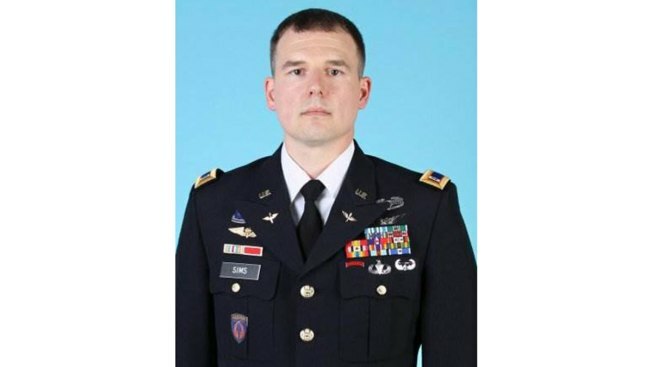 He was assigned to the 160th Special Operations Aviation Regiment at Joint Base Lewis-McChord, Washington. Six other service members were injured in the incident, and an investigation has been opened.